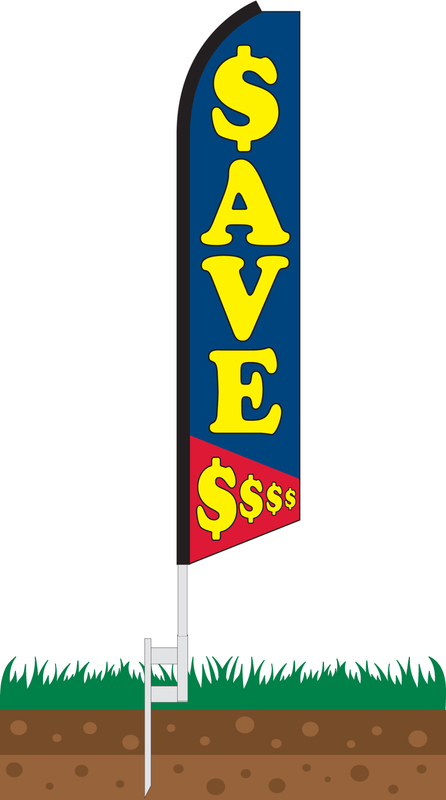 Our Save $$$ Swooper Feather Flag is the perfect choice for any business owner who is needing to give their business a boost by attracting new customers. 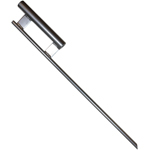 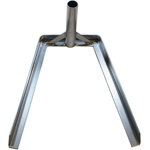 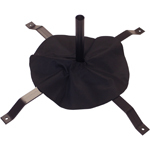 With its bright and appealing design, this is the perfect choice to display and advertise your business. 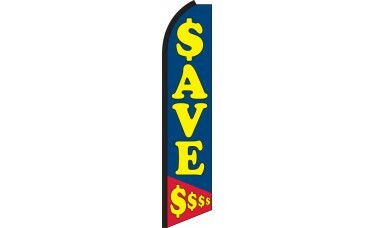 This flag features a blue background with "Save" written vertically in large yellow letters and the lower part of the flag features a red background with "$$$" written across it in yellow letters.